Imagine opening your eyes after a long slumber, not remembering who you are. Imagine walking through a corridor and operate some weird machinery to open a few doors. Imagine walking through these doors, climbing a set of stairs and reaching a beautiful courtyard filled with vegetation, with the wind gently stirring your hair. Imagine feeling completely lost. This is The Witness. Feeling lost and trying to understand the world around you is an important part of the experience, if not the most important. The Witness is an experience unlike any other. The game developed by Jonathan Blow and Thekla manages to feel familiar and alien at the same time, with a unique atmosphere that unnerves the player with its constant contrast between beautiful locations and complicated puzzles, a situation that seems to make very little sense at first glance. Nothing is what it seems like in The Witness, however, and players will finally learn this only after spending countless hours trying to make sense of the puzzle solving they’re thrown in without any sort of explanation. 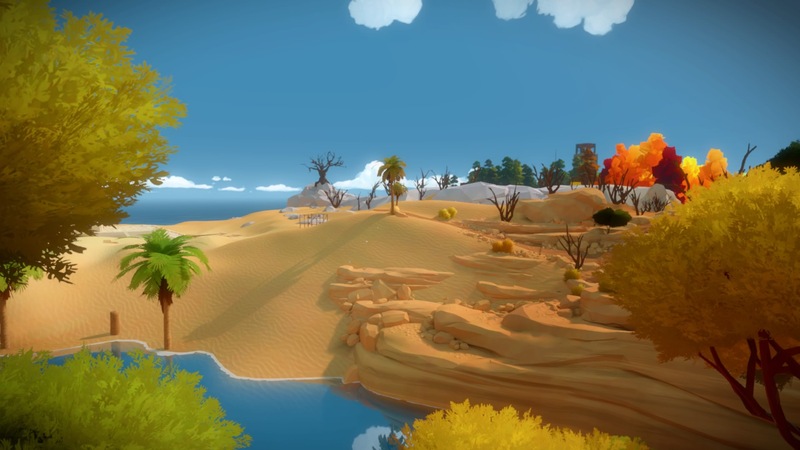 The Witness is a first person 3D puzzle game where players must explore a mysterious uninhabited island divided into several different locations representing different biomes. In each location, players will find puzzle panels which must be solved to open doors, operate mechanisms and finally activate a laser device in each location. By activating enough of these devices, the path to the final area of the game will open. Puzzles in The Witness are mostly maze puzzles governed by different rules which are introduced gradually. These puzzles are quite easy in the first area, requiring players to just draw a line from a starting point to an ending one, but things become more complicated quickly, with players having to separate different colored dots and reach the end point, create specific shapes, manipulate panels so that sunlight can reveal the correct path and so on. Before being able to solve the puzzle panels, players will have to discover and fully understand the rules for each puzzle type, meaning that they will be completing puzzles before even touching a single panel. This makes the experience quite challenging, yet incredibly satisfying. 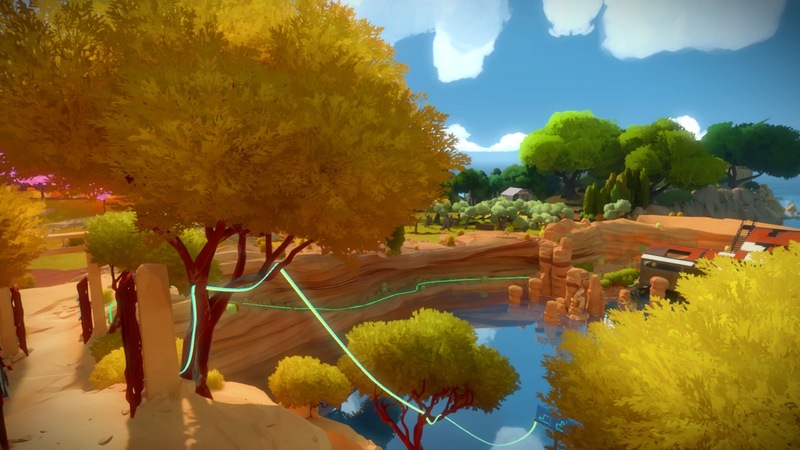 The Witness is anything but a straightforward experience. 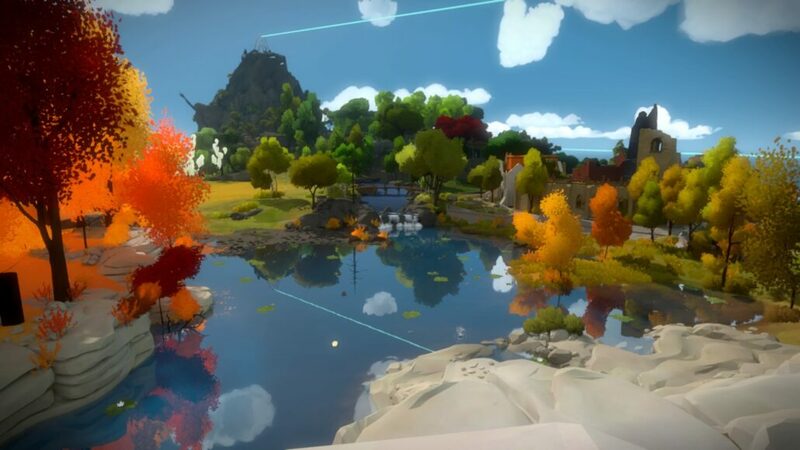 The lack of any sort of hand holding and the open world nature of the game can make The Witness feel confusing to less experienced players, but those who like to understand things without any help will find this approach quite refreshing. The Witness is all about finding your own answers at your own pace, a design choice that ultimately enriches the player. Even more so if some attention is paid to the story bits scattered throughout the island. The Witness’ story, told through wonderfully acted audio messages quoting philosophers and scientists, and other media, is yet another feature that makes very little sense in the beginning. Looking at the bigger picture, however, will allow players to grasp the meaning of their adventure in the world of The Witness, which seems to mirror life: there’s just no true meaning in solving these puzzles, just like in life there’s no true meaning in many of the things we do. We do them because we have to, finding their purpose in the process. In the case of The Witness, we complete puzzles because it’s fun. Everything else is up to interpretation. The Witness’ beautiful yet eerie atmosphere is vastly enhanced by the excellent presentation. Each of the biomes is done extremely well, with environmental sounds and the lack of visible interface enhancing immersion. Performance is also solid, with the game running at 60 FPS on PlayStation 4 almost all time. While not suffering from any technical issue, The Witness still comes with a very critical issue that can prevent some from fully enjoying the game. Due to the combination of lighting and FOV settings, some may experience motion sickness while playing the game. I suffered from it mostly in the desert area, but the issue seems to be widespread, so keep this in mind before delving into the game. The Witness is one of the most unique games released in recent times and, as such, it’s not a game for everyone. The Witness is basically one huge puzzle solving session with over 500 puzzles, so those looking for some action between puzzle solving segments or those who don’t want to spend hours trying to figure out a single puzzle panel may not like it too much. A little variation in the experience might have made more players enjoy the game, but then again, it wouldn’t have been the uniquely charming game that is The Witness. PlayStation 4 version tested (review code provided by the publisher).